In 2015, FIFA--the multibillion dollar governing body of the world's most-loved sport--was brought down by allegations of industrial-scale bribes, kickbacks, money laundering, racketeering, and tax evasion. Beginning with early morning raids in Zurich and the indictment of twenty-seven executives by the US Department of Justice, the rottenness at the core of FIFA seemed to extend throughout all of soccer, from the decision to send the 2018 and 2022 World Cups to Russia and Qatar to lesser-known cases of embezzlement from Trinidad to South Africa. 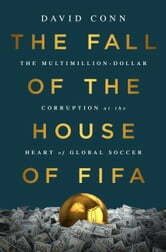 David Conn writes the definitive account of FIFA's rise and fall, covering in great detail the corruption allegations and the series of scandals that continued to shake the public's trust in the organization. 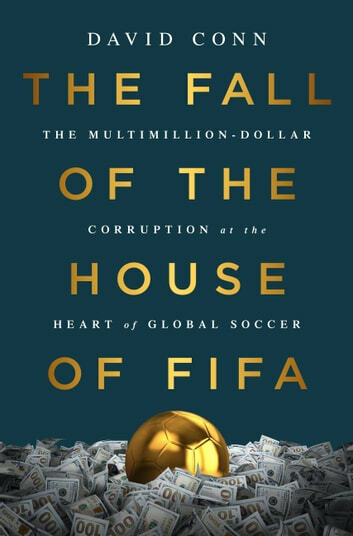 The Fall of the House of FIFA situates FIFA's unraveling amidst revealing human portraits of soccer legends such as Michel Platini and Franz Beckenbauer and features an exclusive interview with former president Sepp Blatter. Even as he chronicles the biggest sport scandal of all time, Conn infuses the book with a passionate love of the game, delivering an irresistible read.